We had a fantastic weekend with students from Singok Middle School and Obang Elementary. Thanks to K-Water for enabling us to have this education program about the Nakdong River. 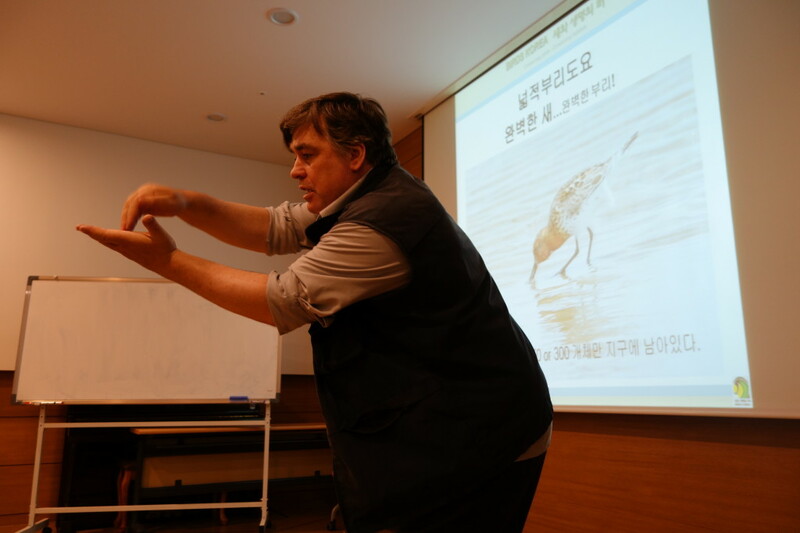 On Saturday, students from Singok Middle School (of Busan) learned about the Nakdong River, waterbirds, and about the threatened species of our flyway such as the Critically Endangered Spoon-billed Sandpiper. They were inspired to write about Spoon-billed Sandpiper with a message asking to please help save Spoonies, messages that will be shared by Birds Korea at the upcoming Convention of Biological Diversity COP 12 in October at Pyeongchang. 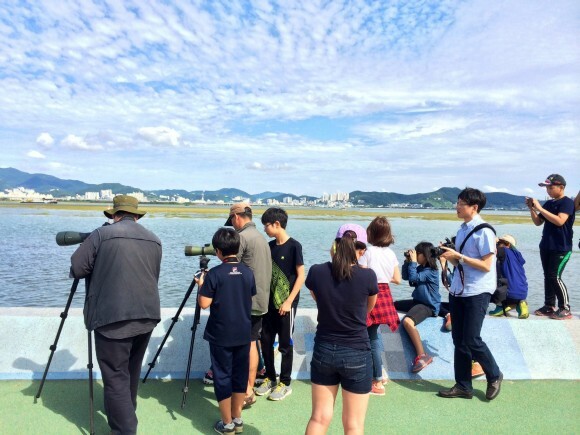 After the seminar, the students and their teacher, Ms. Hong Myunghee, went on a bird walk around the estuary with Birds Korea Director, Dr. Nial Moores and Birds Korea National Coordinator, Ms. Park Meena. For many of these students, it was their first time to the estuary. For most of them, it was their first time on a walk to watch birds. I was really impressed by the messages they wrote, the questions they asked and the curiosity they showed. It was also wonderful to see their eyes light up every time they looked closely at the egrets, herons, and even had close views of a juvenile Black Kite. On Sunday, bird club students from Obang Elementary (of Gimhae) joined Birds Korea for a visit to Junam Reservoir and Myeongji Tidal Flat. Having learned about forest species near our campus, it was now a chance for our students to learn about birds of different habitats. For the first time, our bird club students were able to see and better understand the relationship between birds, habitat, and migration. They were thrilled to spend time with and learn from Dr. Nial Moores and Ms. Sunny Yun. From start to finish, our students were eager to find out more. It was an inspirational time well spent and the children are now thinking about birds and conservation. At our next club meeting on Friday, we will be focusing on threatened species of the flyway. 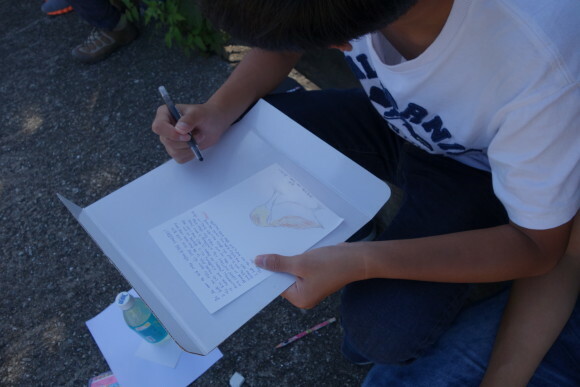 Our students are working on a blog post about their field trip with Birds Korea to be shared soon and they working on postcards of threatened species to be shared across the flyway and abroad. Very special thanks to fellow Birds Koreans Ms. Park Meena, Ms. Sunny Yun, Mr. Min Seungeun (Obang Elementary), Ms. Hong Myunghee (Singok Middle), Dr. Nial Moores, and to all of the students who participated.